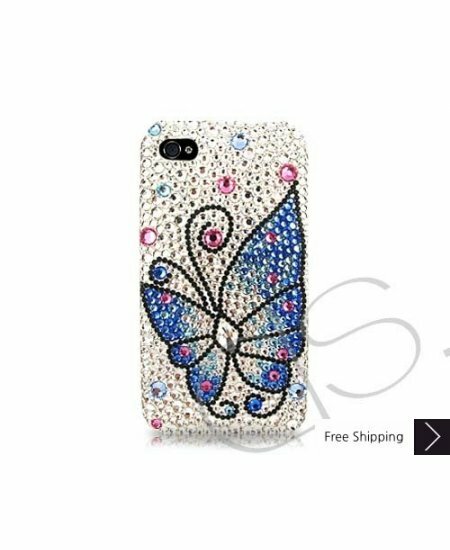 Butterfly Fantasy Bling Swarovski Crystal iPhone XS and MAX iPhone XR Case - Blue is handcrafted which make this the most luxury and prestige product. Every single pattern is a collaboration between our designers and craftsman. You will not find an identical case as yours even for the same pattern as they are all hand made. I love my case ! I love the case so much and get so many compliments that i wont complain about the 2 weeks it took to get here and the fact that i ordered 3 for gifts. This case was everything i wanted and i with for it looks soooo good on any iPhone .! Everyone sees my case and is like that's cute . that's so adorable .! It's just the perfect case .! I love this case!!! It is great for the money and it came long before I expected it too! Great Buy! excellent . hasn't lost any jewels. love love love it. Got her fairly quickly.